Whether it's in a car or on a lawn mower, oil is an important component for any engine. Large engines are usually designed with easy oil changes in mind, but changing the oil in small engines like you find on lawn mowers isn't always so intuitive. If you aren't careful, trying to change lawnmower oil can turn into a big mess to clean up. You can't just ignore it either, as oil breakdown can significantly shorten the life of your mower. Fortunately, changing the oil in a mower as part of your regular lawn mower maintenance isn't difficult once you know how it's done. 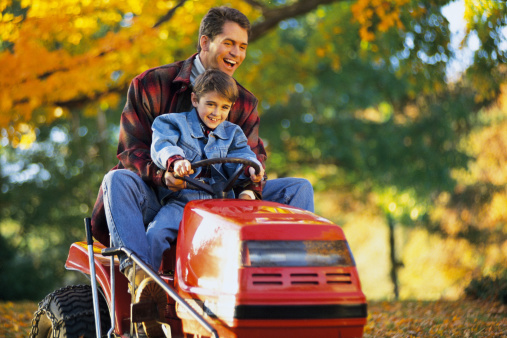 Start your lawn mower and let it run for at least a few minutes to heat the oil to ensure easy flow. Once the engine has run for long enough, shut it off and disconnect the spark plug wire so that the mower can't start accidentally while you work on it. Prop up the mower so that the spark plug faces up and place the drain pan beneath the mower. 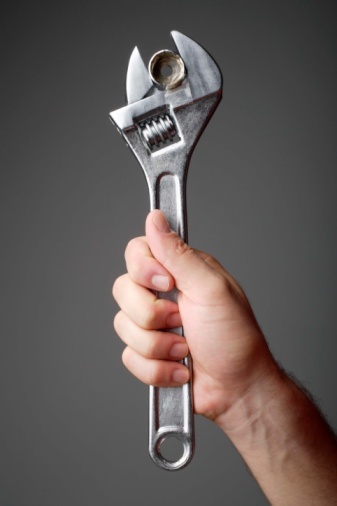 Locate the oil plug bolt sticking out from the mower, using a socket wrench to loosen it. Turn the plug counterclockwise until oil starts draining from the mower engine and into the drain pan. Wipe the area clean with paper towels once the oil is drained. If you can't locate the drain plug, you can also drain the oil by removing the dipstick and tipping the mower until the oil drains out of the dipstick tube. Be sure to keep the oil filter facing up while doing so to keep oil from draining into the carburetor. Open the oil filter holder and remove the old filter, disposing of it. Place a new filter into the holder, checking to make sure that it is inserted correctly. Once the new filter is in place, close the holder to secure it. This is an important part of a lawnmower oil change, as leaving the same filter in place will cause the new oil to get dirty quickly. Tighten the oil plug by turning it clockwise, then carefully move the drain pan out of the way. Lower the mower back to its wheels. Remove the oil dipstick and add oil according to user manual recommendations, then replace the dipstick. 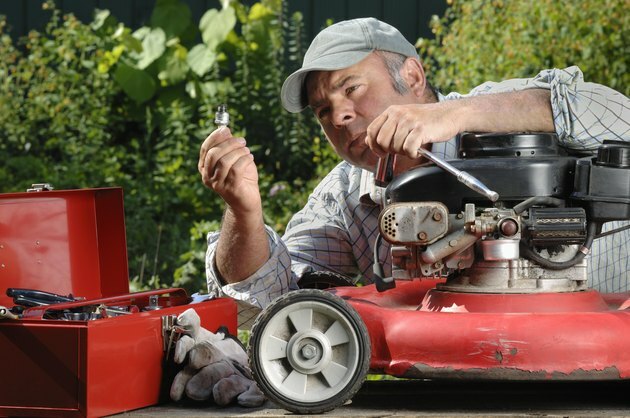 Reattach the spark plug wire once you've finished the lawnmower oil change, and add gas to the mower if necessary. Prime the mower engine and start the mower. Allow it to run for a few minutes, ensuring that the engine is running smoothly. This will distribute new oil throughout the engine, lubricating the moving parts. Jack Gerard is a freelance writer with over 15 years of experience writing in the home improvement, DIY and home & garden space. Coming from a background in roofing and construction and bringing firsthand gardening and home repair experience, Gerard applies himself to his writing as a jack of many trades. How do I Fix an Oil Seal on a Briggs & Stratton Engine?